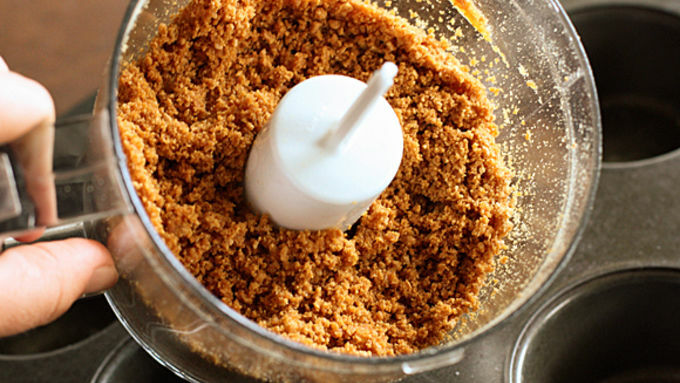 In a food processor, process cereal until it's fine crumbs. The 4 cups of cereal should process into about 2 cups of crushed cereal. Add the melted butter to the crumbs and combined until incorporated. Crumbs should stick together and not be too crumbly or it won't set up. If you need to add more melted butter here, feel free. In a muffin tin, pour about 2-3 tablespoons of crumb mixture into the bottom of 8 muffin tins. Press crumb mixture until firm. Note: You could also use paper liners in your muffin tin for easier removal. Reserve remaining crumbs for topping. In a medium bowl, mix the softened cream cheese and marshmallow fluff until smooth. Fold in the whipped topping. Fill each muffin tin with the marshmallow mixture up to the top. Combine the remaining cereal crumbs and the sprinkles. 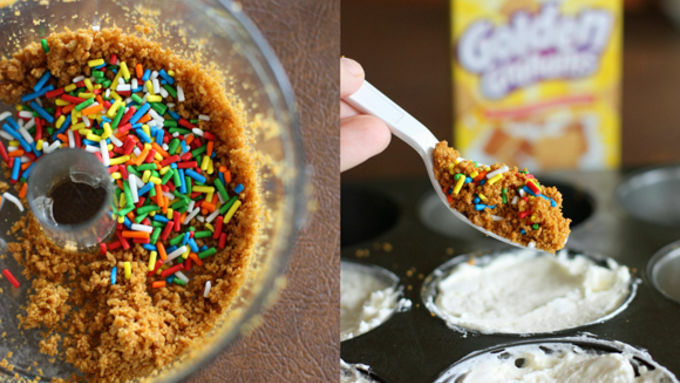 Sprinkle mixture on top of the marshmallow filling filled cups. Place cheesecakes in the freezer for 30-60 minutes or until set up. To remove use a knife and run it around the edge of each cheesecake and carefully remove. Enjoy! Have you ever looked down at a bucket of popcorn and realized you've eaten the whole thing? Or sat down for a bite of ice cream and before you know it... oops, the carton's gone? 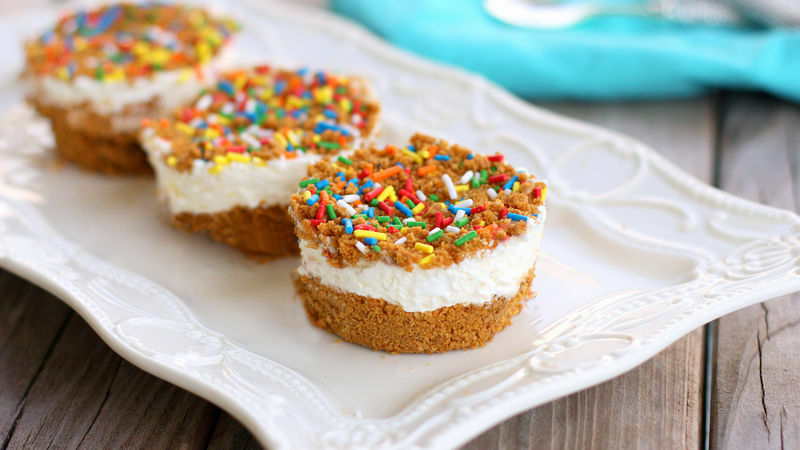 These Mini Marshmallow Whipped Cheesecakes are so light and fluffy, you could easily eat them all mindlessly in one sitting. But in order to help muster some control, we've individually portioned these into mini cheesecakes. so at least when you've had that last creamy bite, you've got a flag to tell yourself you should be done. The great thing about these cheesecakes is that there's no baking and they come together quickly with just a couple of ingredients. And if you're really watching your figure, you can easily make a skinny version of these using light cream cheese and light whipped topping.